This year Saturn shall remain in Sagittarius in 8th house. On 23rd March Rahu shall be entering into Gemini in 2nd house. 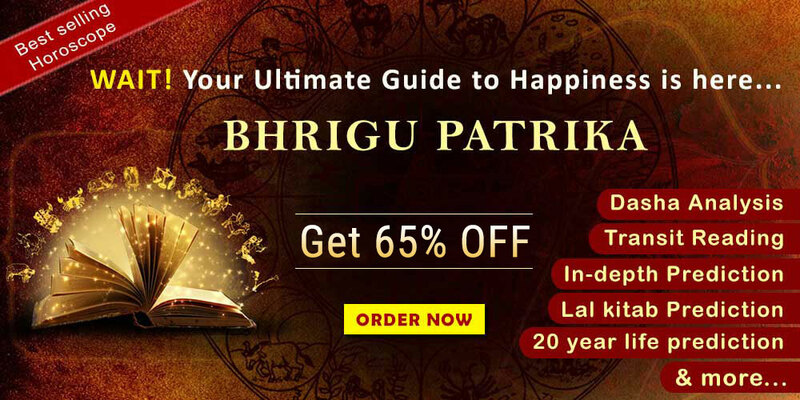 On 29th March Jupiter would enter into Sagittarius in 8th house and would enter into Scorpio on 23rd April again after turning retrograde and come back to 7th house. On 5th November Jupiter would enter Sagittarius in to 8th house after becoming direct. It is going to be an auspicious year for your professional life as the transit of jupiter in house of business is giving indications of probabilities of getting into a partnership venture. It will be beneficial to get into some new business venture. After 23rd march there is probability of change of place which probably won't be of your choice. During that time you should stay away from getting into any type of argument otherwise you might become the victim of anger of your seniors. Financially it won't be a great year as you are likely to face difficulties in the way of your financial progress and some sudden expenses would affect your savings. Don't make investment in a hurry and if you are fighting a legal battle regarding your parental property then its decision can also go against you. 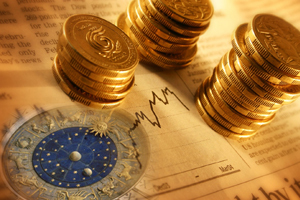 After 23rd March the transit of Rahu in house of wealth can create financial problems for you. You are likely to get into losses therefore you are advised not to lend money and be cautious in financial transactions and investment. This would prove to be an average year for your family life. The family atmosphere shall be fine in the beginning of the year. After 23rd March the family atmosphere might get affected badly and at that time you are advised to keep your patience, tolerance and resistance intact. Control your speech as unnecessary argument might affect your relationship with family members badly. This year is excellent for children for their growth, rise in career and educational up gradation You shall have good relations with your children. If your second child is of marriageable age then there are chances of his/her marriage. 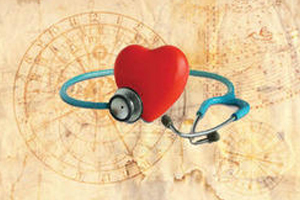 For your health the aspect of jupiter on lagna would bring good luck and as a result you shall be happy and healthy. Your working efficiency shall get enhanced and you would be thinking positively. For the improvement of health you would be following disciplined life style and health and nutritious diet chart religiously. If at all there would be some chance of health troubles then also you need not worry as quick recovery from the ailment can also be expected. This year would be generally auspicious for your career. You shall have to work extra for getting success in competitive examinations. Students need to concentrate in their studies. 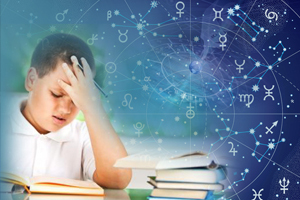 The third house Rahu would enhance your confidence but even then there would remain a situation of dilemma in your mind however your hard work might bring in some good news regarding success in competitive examination. The year ahead is great for travelling. Third house Rahu is giving indications of short journeys and you might go overseas through sea journey. The transit of jupiter is beneficail for business related journeys. From the beginning of the year you would be interested in religious activities like Mantrajap etc. After 23rd March you and your spouse both shall be interested in religious activities like meditation, yoga and yagya etc. The above given activities would improve your personality very quickly. 1. Get up before sun rise and offer water to sun. 2. See your face in mustard oil and donate it in a temple. 3. Donate black articles of use like black cloth, black daal, and mustard oil on Saturday. Powerful and Powerful and reliable, Taurus is the first when it comes to harvesting the fruits of his labor. They love everything that is good and beautiful, and they are often surrounded by material pleasures. People born under the Taurus sign are very sensual and tactile. Touch is extremely important for them, both in business and in romance. Stable and conservative, Taurus is among the most reliable signs of the zodiac. Once they set their eyes on something, the Taurus will persistently put in all the efforts to get it. Failures and setbacks rarely dampen their spirits. The Taurus are so goal-oriented that they often form a notion that the world revolves around them. Their self-indulgent streak makes them rude, and ignorant of others’ emotions.They tend to be good with finances and hence, make efficient financial managers. Taureans have very pleasing personality. They have medium stature but an enchanting personality. They are attractive, affectionate, romantic, large hearted, tolerant, patient and hard working. They are dependable, persistent, loyal, patient and generous. Self respecting they detest any binding. But they have cool and collected temperament. They have sweet voice with a very captivating personality to cast their influence over others. They enjoy much mental contentment. Known for their erudition they have much knowledge in science and arts. In music also they will have much knowledge and ability. They are magnanimous by nature and help liberally the needy and poor by offering large donation. These people can’t be misled by emotional vein. Taureans are practical persons and not day dreamers. They are active and quite outspoken. Generally Taureans are good in business. Though they are not overly ambitious, their dedication and hard work can carry them quite high up in the hierarchy over the years, where their administrative skills too can be optimally utilised. The professions best suited for the Taurus are banking, the performing arts, accounts, or any other career which calls for single-minded dedication, regardless of the monotony of the work, and loads of patience.They are fond of good clothing’s and love to present them in an impressive style. They also love good food and sweet delicacies. They are obstinate but have good aesthetic sense and can become successful artists. They rarely loose their temper but once they loose it their temper can be as dangerous and as violent as an earthquake. They are very hard working and get tired rarely. Liable to suffer from Tonsillitis, Diphtheria, Pyorrhea, Cold, Constipation. Suffer mental imbalance at least once in life. Middle stature, generally plump body, broad forehead, thick and stout neck, beautiful and attractive face, eyes and ears, large broad shoulders and well developed muscles, wheatish complexion, white teeth, heavy thighs, curly hairs, mole on back or armpit.They often have dimple on their cheeks or chin. Normally people of this sign are sturdy with a self assured gait and shoulders as powerful as that of a bull. Normally they keep good health. Inauspicious years taurus - 1, 2, 8, 33, 44 and 61. Their lucky gem is Diamond.